Over the past few weeks, I've been pondering my place in the world. 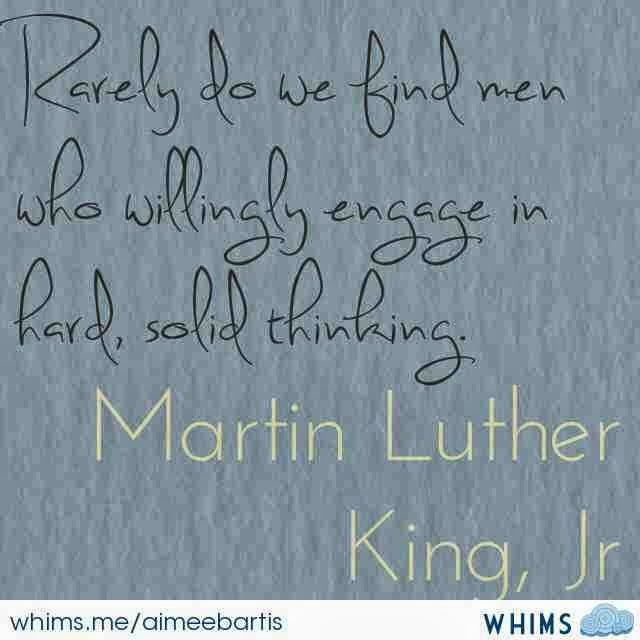 Specifically in the Education and EdTech world. To be clear, I love my job and I LOVE my district. I don't want to leave. I've just been thinking about my impact on others and feeling a pull to make a larger impact. I've spent a lot of time thinking about new teacher education. Are our new teachers effectively prepared for this new education paradigm? On some level, it's impossible to be fully ready to step into a classroom for the first time. You just can't recreate all the feelings that come on that first first day. In addition, there's no way to prepare preservice teachers because we have an awesome concept here in Texas - local control. Each local school district has certain freedoms within our state Essential Knowledge and Skills standards. So, the very idea of effectively preparing preservice teachers become muddied. Which brings me back to the district level. How do districts effectively screen and hire new teachers? How can they insure that the teacher will fit in to the campus community? 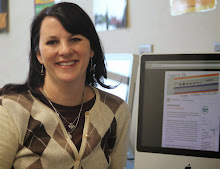 Can the addition of this new staff member impact other teachers? Can he or she encourage positive change on campus? Then comes the idea of training and integrating the new teacher into the school environment. Do we give new teachers enough information before the first day? Is there a mentor system in place? Are our expectations clear? The conflict comes when these thoughts crash into real life. As I've already said, I love my job and my district. But I do desire to make a larger impact in education. How can I make a larger impact, serve more people within my current life. I'm first and foremost a momma. A momma of 3 busy boys. 2 who are involved in a wide variety of activities and 1 with special needs. I have an awesome husband that supports me in all my endeavors. But the truth is our family takes 2 leaders. I'm away from my boys (husband and dogs included here - everyone at my house is a boy except me) about as much as I can stand right now. I try to space out my absences. My absences makes life complicated. My house stays about as messy as I can stand. Right now there are dishes in the sink and clothes on the living room coffee table. Papers are all over the living room as B's current obsession is writing and drawing and he must start with a clean piece of paper each time. I've learned to let go of some of my OCD about the house being perfect looking in order to free up time. So, my real question is: how to answer the pull of big thoughts when you really love the life you have? I understand how people follow the pull when they are unhappy. How do you add when you don't want to subtract? I wish I could remember where I first heard about Plickers. One thing is for sure, as soon as I saw it, I knew I had to share it with my teachers. 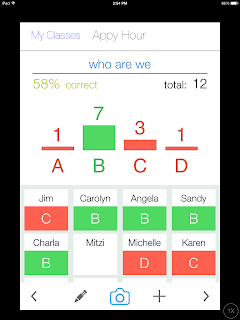 Plickers is a free student response system. Yes, I said free. All you need is an iOS or Android device. Just one - for the teacher. Students do not need a device. The Plicker app reads the student response cards and gives you real time feedback. Now, Plickers will not replace all student response systems. Students can't answer open ended questions or enter numbers. It's strictly a multiple choice set up. But it is great for a quick pre-assessment or exit question. You can see the overall percentage correct, how many have voted and each student's answer. But what I really like is what you see on your screen as you scan. When you pass by a student their name and answer choice appears on the screen. You know right that second if they answered correctly. I'll bring my Plicker cards to EdCampDallas this Saturday, October 12. If you want to see how it works, just let me know. I'll be the crazy woman in the royal blue "Keep Calm and Tweet On" shirt. And yes, I do already know what I'm wearing on Saturday. Don't judge. Things are crazy around here. But I wouldn't have it any other way! Our last chat will be Tuesday, October 8 at 9 pm CST. We'll be discussing the last chapter of the book, Changing Mindsets. This last chapter is full of scenarios and how the growth mindset can change situations, I'd like to spend our time talking about our students. No, not in a teacher's lounge on Friday afternoon kinda way. Are their other things you'd like to discuss? Let me know in the comments! I have really enjoyed our book chat. I've learned a lot about myself. I hope you have too! 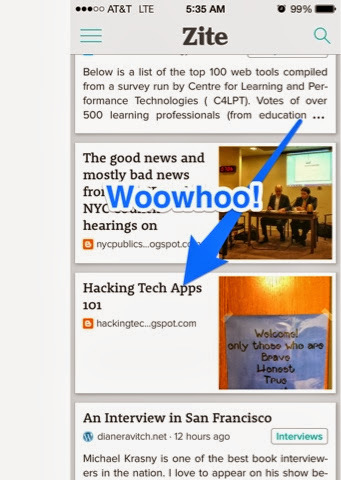 There was the blog I started with my students right there in my Zite feed! I had a minor freak out. I had to explain the whole thing to my husband but he was supportive. The kids also started getting comments last night and today thanks to my Twitter peeps! When class started I plugged my iPad into the projector and started explaining Zite. Then I scrolled to their article and said "anything here look familiar?" Now it was their turn for a minor freak out. But I wasn't done yet. I pulled up the blog and asked what they noticed there. "We have comments!" We started reading the comments and more came in as we were reading! They were so excited! The cherry on top of our day was getting to show off to our District's Director of Student Services. She happened to be in the building, I heard her in the hall and called her into the room. We got to show her Zite and our blog. She asked the kids some great questions. I am really proud of them. Our goal is to post every school day. I have 9 students so the topics will go in groups of 9. 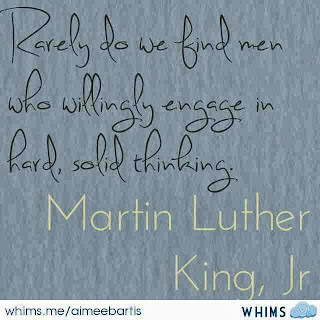 Our focus is to think thoughts not remember facts. I try to encourage them to not just give a list of events but to tell what they thought about those events and how it made them feel. It's a new skill but they're getting better!